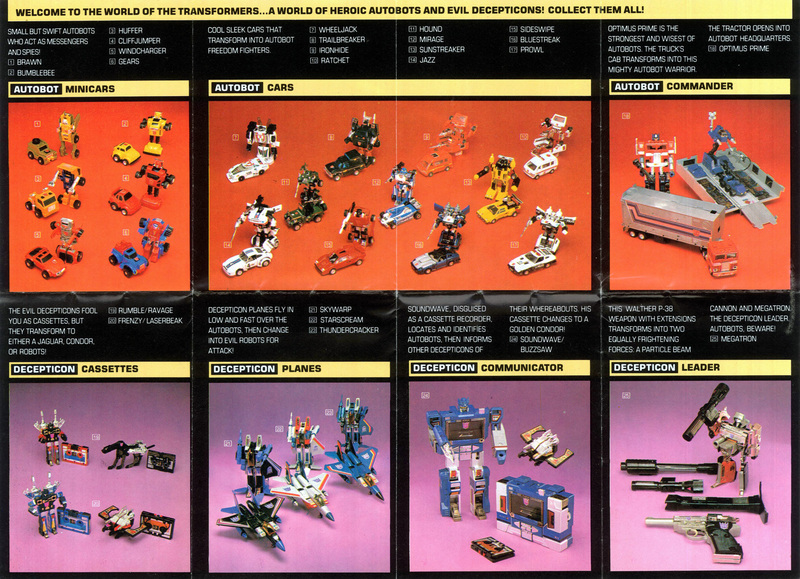 Today’s image is from the “Transformers Vault” table top collectors book. 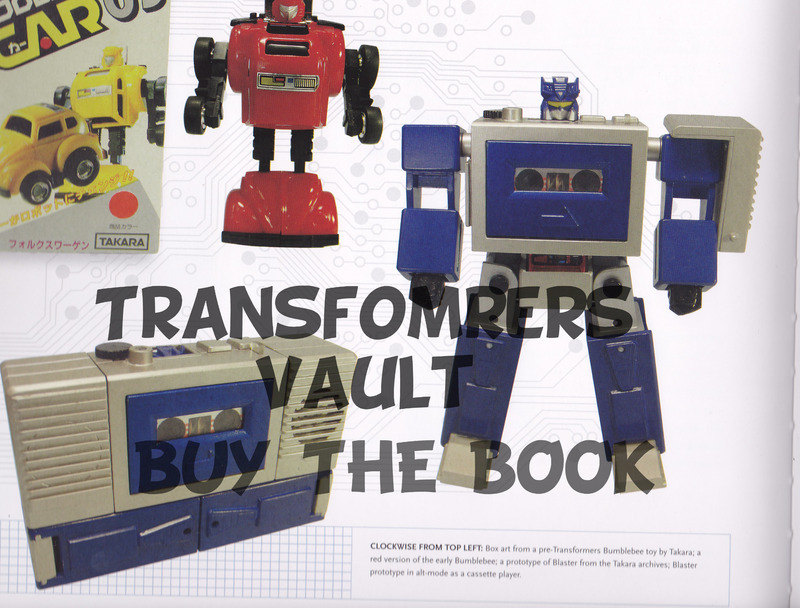 What I find funny is that in the caption below the figures feet it refers to Soundwave as Blaster. 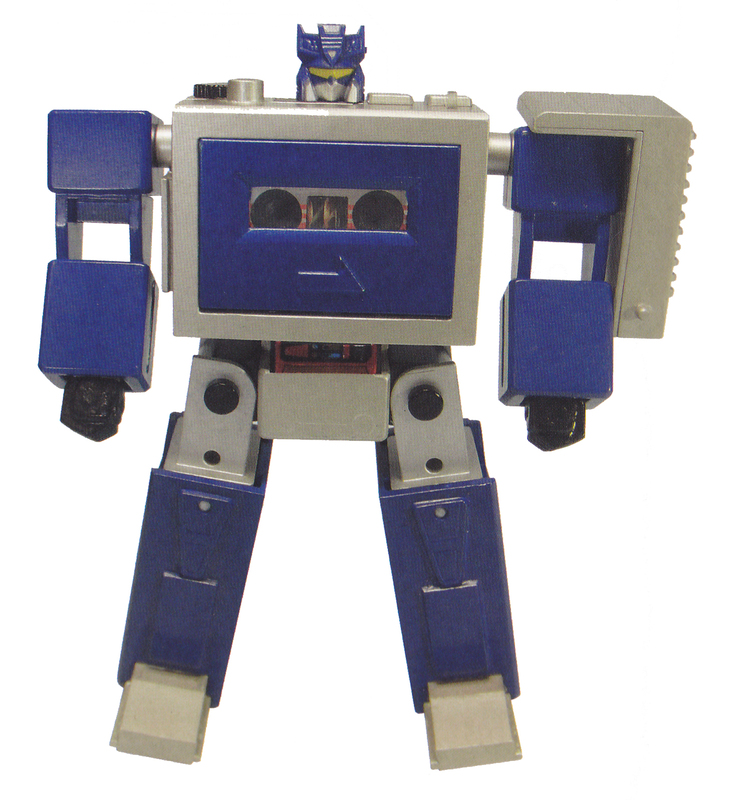 It’s a simple text error but one to point out, either way to see what Soundwave would have been is just amazing. 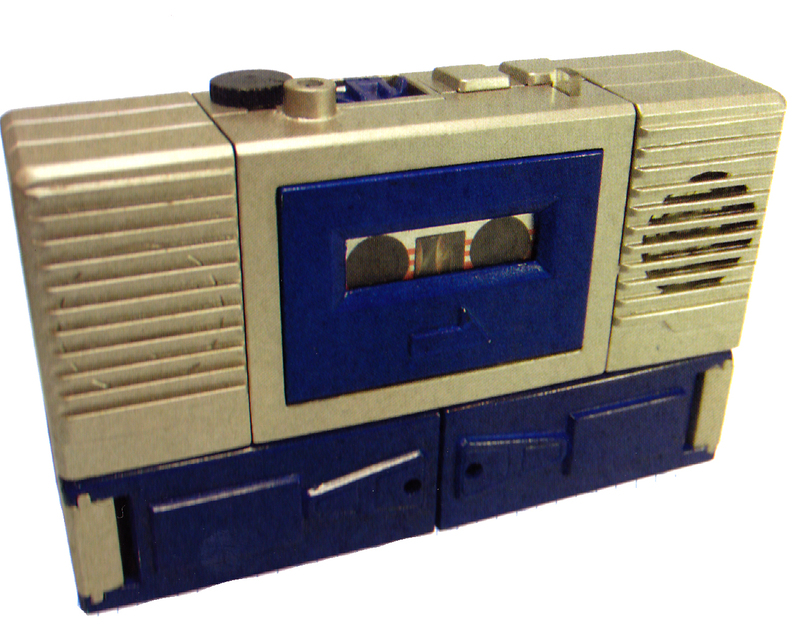 Such a simple design yet it has all the elements that make Soundwave who he is. Go here to buy the book. Hit up the PCN forums and tell me what you think and thanks for reading. Make Toys colors are perfect and I can’t wait to see the completed Devastator! 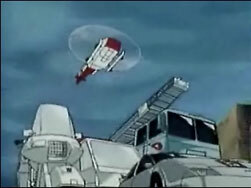 With the release of the Transformers animated movie being held until 1990, The Japanese market needed a filler show to bridge the gap between season two and season three of the Transformers cartoon series. This show would introduce characters that only debut in the animated film. 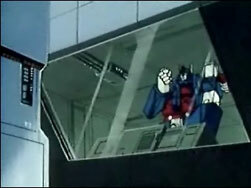 Ultra Magnus and many of the films co-stars needed to be seen as soon as possible as well as add them into the mythos of the Universe of the Transformers. 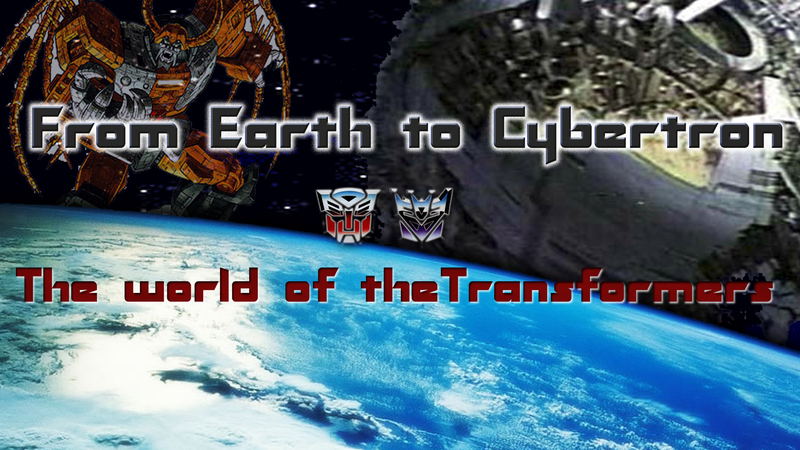 The show starts off with a recap of the Transformers coming to Earth. It quickly covers the story of Devastator as well, and then gets right into the action. 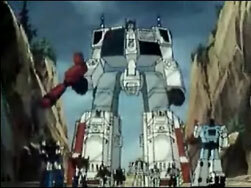 The Autobots are shown in the middle of constructing the powerful “Scramble City,” Metroplex for the G1 purist. Its construction is being held by Ultra Magnus. 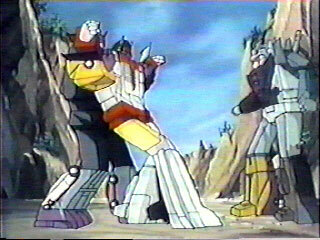 The Decepticons send out Soundwave’s minions Laserbeak, ravage and ratbat to see what the autobots are doing and soon learn of the build. Megatron sends out his mighty Combiners or if you prefer Gestalts and soon all hell breaks loose! A battle between them and their Autobot counterparts turns into an old ECW match. This animated one off wanted to focus on their “Scramble abilities “which is their interchangeability of their outer extremities. So much so that at one point, Breakdown of the Stunticons connects into Superion’s leg to damage him (it looks a bit weird but I assume Cybertron doesn’t have a good sexual assault law). As the show comes to a close, Scramble City himself is activated and Transforms its super cool robot mode Metroplex! The Decepticons however, have an ace in the hole and from the deep dark part of the ocean comes Godzilla ….wait no sorry about that, it’s the Decepticons’ very own base, Trypticon. 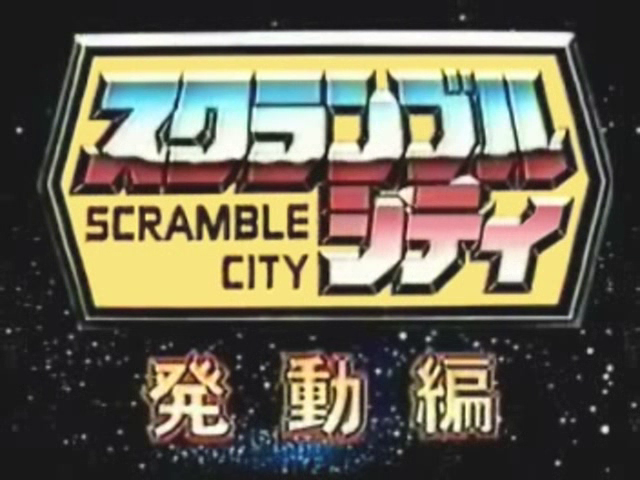 Scramble City is one of those amazing animated shorts that we wished was in our collection but due to a whole bunch of copy right legal mumbo jumbo its only a part of the Japanese continuity. If you haven’t learned by now, I am a sucker for anything and everything Japanese related. Make them about the Transformers and I’m about sure to cry. 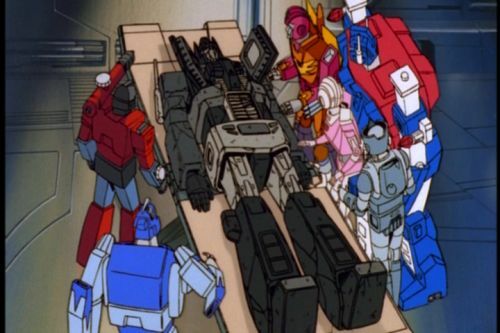 After the death of Prime, kids and adults alike cried their collective Autobot loving eyes out as they watched the beloved leader of the peace loving protectors of good die. A real world problem solved with a real world emotion. Daniel’s reaction was the reaction of us all. 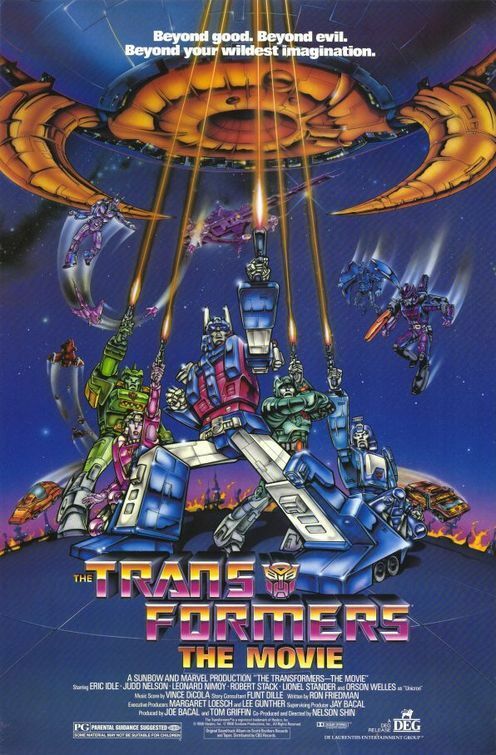 In Japan, the Transformers animated film wouldn’t be released until 1990. It was almost certain that Prime would receive the same reaction. 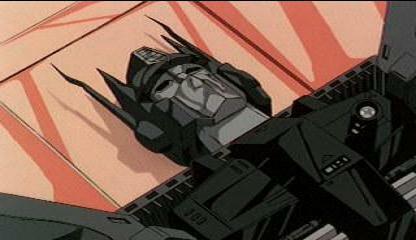 When season 3 of transformers was about to debut on Japanese television, they needed to explain why good old Optimus Prime was dead. So they started airing this commercial. I just love that this commercial has such a high level of detail given to the fallen Prime. 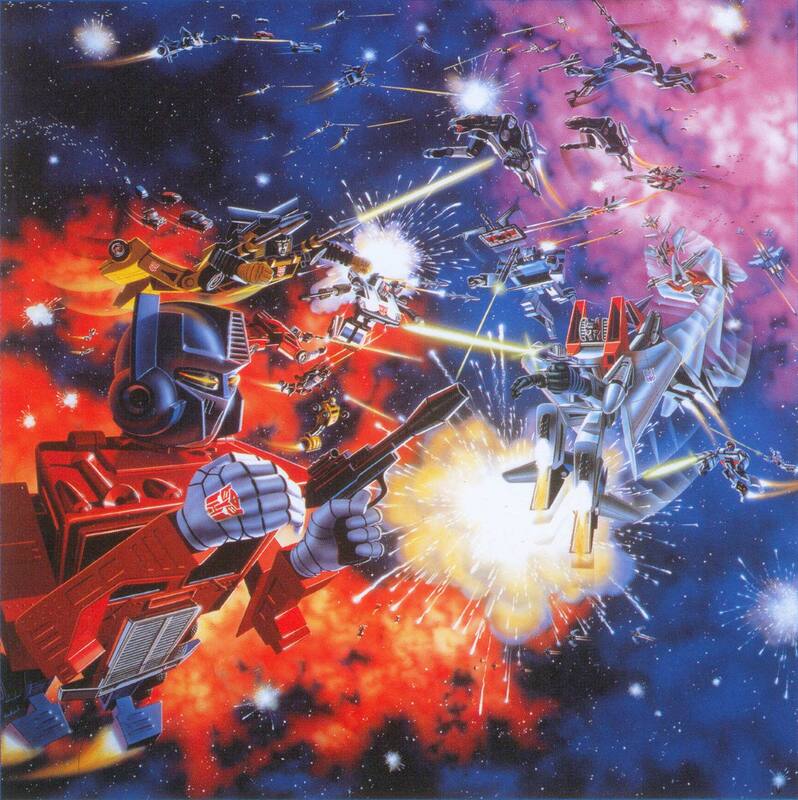 In the beginning, the war was divided into two sides, the villainous Decepticons and the heroic Autobots. And what was an understanding was that Decepticons could fly while the Autobots could not and never the two shall meet. That is in the cartoon medium and in the toy form as the Autobots were primarily cars while the Decepticons were mostly planes. 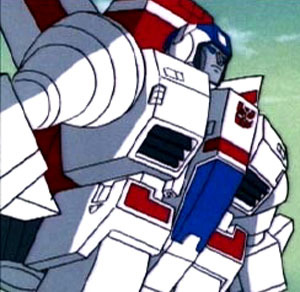 In season 1 of Transformers, we are introduced to Skyfire. 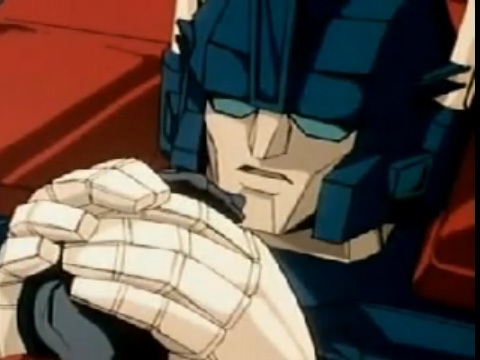 Skyfire was one of Starscream’s closest and dearest friends. They manage to become lost from each other while on prehistoric Earth eons before the arc. Millions of years later, the Decepticons found Skyfire, encased in a block of ice, and revived him. Later on, he ends up siding with the Autobots. 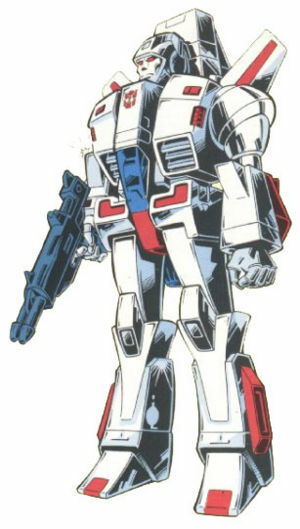 As for the toy, he was named Jetfire and was a repaint of a Macross VF-1S Super Valkyrie plane. This is why the cartoon is different from the toy release. Takara was none too pleased with a cartoon that had 99% of their action figures promoting a non-Takara toy. 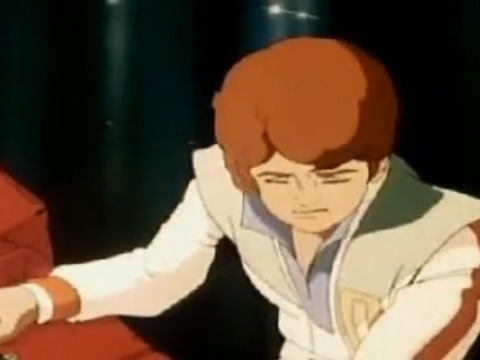 So the animators changed him up and his name was changed to Skyfire (I am guessing since he no longer looked like Jetfire to just change the name anyway). 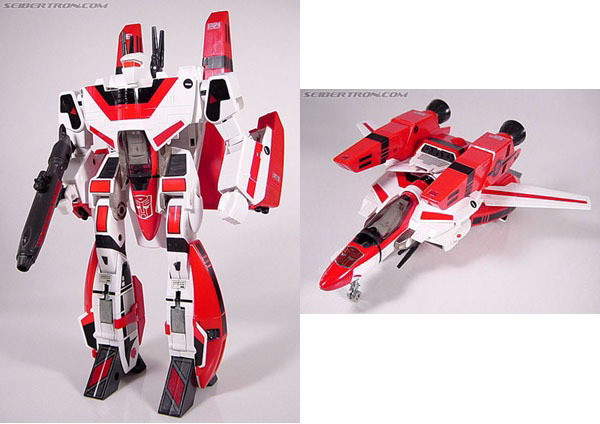 Personally, I think Jetfire was a better name and a much cooler looking figure. In addition this marks the start of Hasbro making an aggressive integration of non-Takara Transforming Robotic figures into the realm of the Transformers. We will, in future episodes, go over the others. Starting with the second wave of G1 figures, there would now be equal opportunity robots in disguise. That’s it for this week. Hit up the Pop Culture Network forums and thanks for reading.